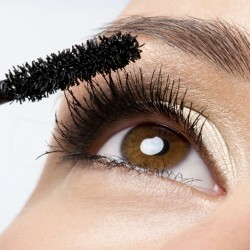 Lash Sensational® Luscious Washable Mascara. Volumizing formula is infused with precious oils for so..
WHAT IT IS: A LIMITED EDITION SET OF BESTSELLING VOLUMIZING MASCARA AND TRAVEL-SIZES OF GEL E..
Gucci Infinite Length Mascara delivers sleek, infinitely alluring length. Marries a cutting-..
La Petite Robe Noire by Guerlain creates her 1st tailor-made Lashes mascara, 4 styles in 1. Just li..